Asmaa Khalaf was a doctor at the Women’s Health Hospital and deputy resident at the Assiut University Hospital in Assiut, Egypt. On April 18, 2014, she was arrested by Egyptian authorities while returning to her home in Sohag after work; she was never seen again. Years later on July 3, 2017, Egypt’s Supreme Administrative Court relied on the facts of Asmaa’s case to issue a significant ruling on forced disappearances in Egypt, a phenomenon that continues unabated today. The court, which obligated the Ministry of Interior to reveal Asmaa’s location, iterated that among the most important of the Ministry of Interior’s responsibilities is to disclose the location of all missing persons. It added that a safe and secure life is a right of every person and that the Egyptian state is obligated to provide security and peace of mind to all of its citizens and residents. Once a missing persons complaint is submitted, the Ministry of Interior is mandated to reveal the location of said person whether the person is alive or deceased. The court also concluded that the forced disappearance of an individual is a violation of human rights principles and a phenomenon that strips individuals of their humanity. In Egypt, forced disappearances have consistently continued to occur since at least November 2013. Per numbers documented by Egyptian NGO El Nadeem Center for Rehabilitation of Victims of Violence and Torture, at least 980 casesof forced disappearances occurred in 2016 alone. In July 2017, 151 caseswere reported, and the month prior, 76 cases. The pattern often occurs as such: an individual is arrested by authorities, held incommunicado, subjected to egregious human rights violations and maltreatment, and not promptly brought before an investigating authority. At times, the person in question is forcibly disappeared for days; yet in other cases, he or she remains missing for years. The family members, friends, and lawyers of the missing person attempt to communicate with security and intelligence personnel, the Ministry of Interior, the Prison Authority, and the National Council for Human Rights. In many cases, their queries are left unanswered. Although Egypt is not a party to the International Convention for the Protection of All Persons from Enforced Disappearance, it is a signatory to a number of international human rights covenants that enshrine the right to life, the right to dignity, and the right to due process — all of which are implicated when an individual is forcibly disappeared. These rights are additionally explicitly written into the Egyptian Constitution, which requires, among other things, that an individual who is apprehended, detained, or has had their freedom restricted be treated in a manner that preserves their dignity. In the weeks since the ruling in Asmaa’s case, reports of forced disappearances have continued to surface in Egyptian media. Human rights lawyer Tarek Hussein (a.k.a. Tito) was forcibly disappeared for a period of 12 days despite a court-ordered release. On other occasions, the Ministry of Interior claims to have engaged in shoot-outs with individuals whose families report to have been forcibly disappeared (some of my TIMEP colleagues wroteabout one of the first reports of such incidents in June). 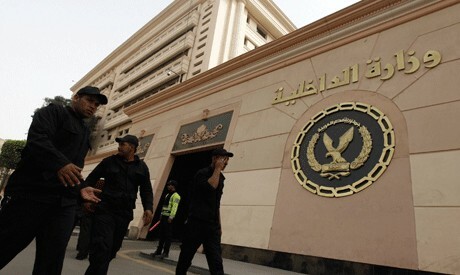 The Administrative Court’s July ruling comes to strongly emphasize Egypt’s domestic and international human rights obligations when it comes to the issue of forced disappearances. The question that remains, however, is whether the Ministry of Interior will finally, after three years and three months, inform Asmaa’s brother of the whereabouts of his missing sister; and on the long run, whether it will finally begin to reveal the locations of the thousands of missing Asmaa’s across the country. If El Nadeem’s numbers from last month are any indication, the answer seems to be an unequivocal no.